A new version of WebLearn (version 11-ox9) was released on Tuesday 23 January 2018. 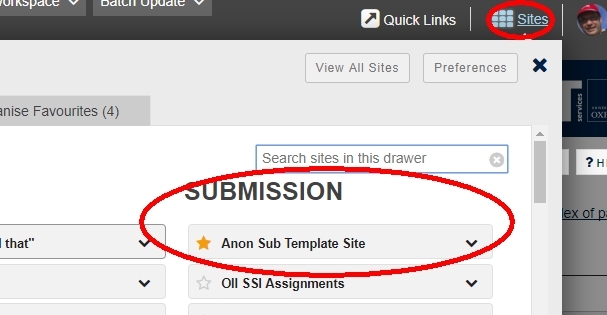 There have been a number of improvements especially in the area of anonymous essay submissions. Here is a breakdown of the enhancements. This release sees big improvements in the area of bulk creation of sub-groups (this is in Site Info > Manage Subgroups > Bulk Creation). It is possible to define multiple sets of groups and users in a file and have them created all at once. This facility should be particularly useful for Anonymous Submissions. Visit Site Info and opt to Manage Subgroups. 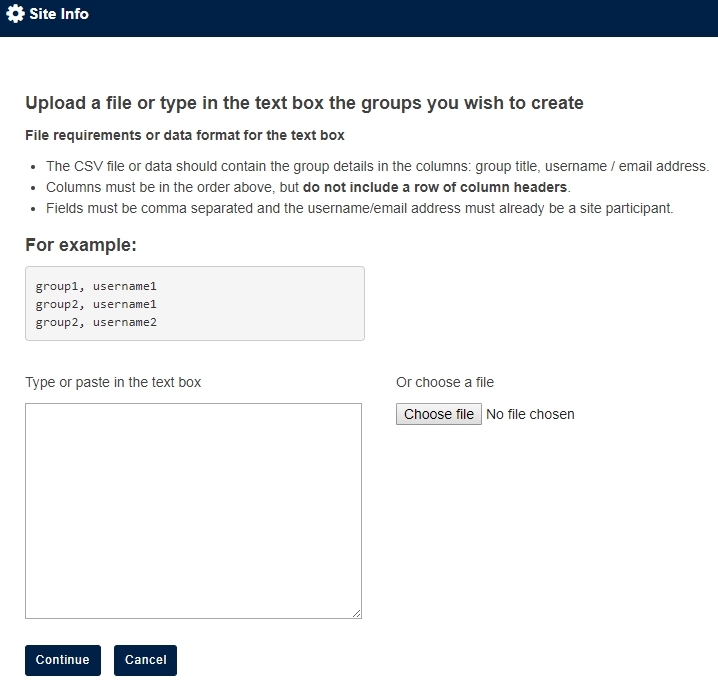 On the next screen you are given the opportunity to upload a CSV file which can be generated by a spreadsheet application such as Excel. The contents of the CSV file can also be pasted into an on-screen text area. The title of the main panel of the Overview page has been changed from (the meaningless) Site Information Display to the more sensible Welcome!